I only recently learned that as part of 2013’s Black Friday celebrations World Market had a whole Downton Abbey themed tea party event. I can’t believe I missed it! Perhaps my favorite part were the beautiful mugs they gave away as part of the Black Friday promotions. They don’t have any more, so you’ll have to resort to eBay like I did to get one. 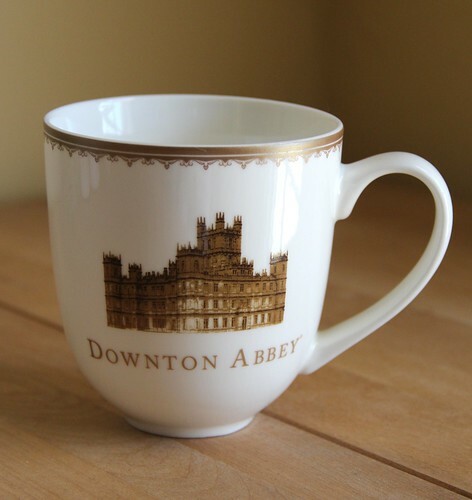 It’s a beautiful white ceramic mug with gold detailing and the Downton Abbey logo. 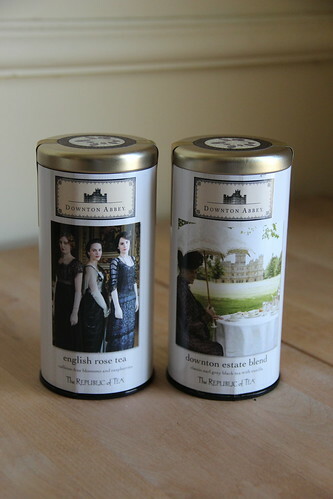 World Market also paired with the Republic of Tea to come up with three very special Downton Abbey tea blends. I was able to pick these two up last week at my local World Market, but they’re limited edition so you’ll have to be quick. I noticed they’re still available on the World Market site, as well as at PBS. I was able to get both the Estate Tea Blend and the English Rose Tea. Sadly the local World Market was already sold out of the Grantham Breakfast Tea. Estate Tea Blend – Classic Earl Grey black tea is blended with bergamot, orange oil and exotic vanilla. English Rose Tea – A bright fusion of rose, raspberry and hibiscus leaves. Grantham Breakfast Tea – Organic Assam black tea is blended with organic ginger root. 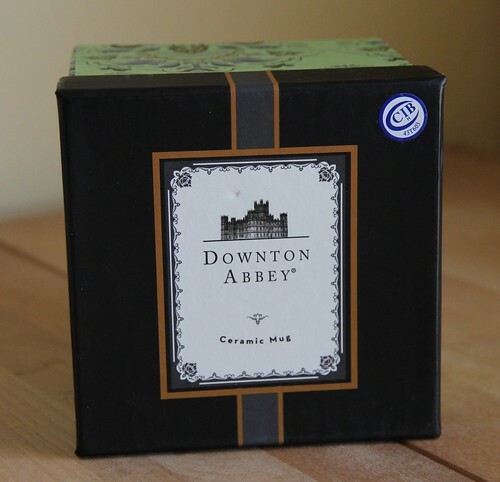 Of course if you’re feeling like getting crafty at your tea party, you could always knit a Downton Abbey inspired knit. 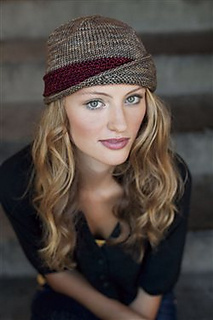 How about the Lucy Hat by Carina Spencer? Or the Half Day off Mitts by Sara Lamb? LOL on caving for the cup! It was worth it, right? I have an urge to knit those mitts. Me too! And yes. I caved for the cup. LIMITED EDITION. Previous When your knitting matches your mug.